Decking' is a structure that is built on the outside of your home for walking or sitting. Care for decking also includes other structures outside of your home, such as: porches, stairs, railings with bars called ‘balustrades', trellises, gazebos, and swing sets. 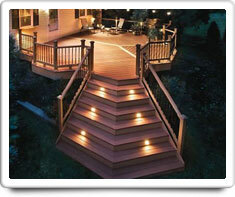 Decking may be made from a variety of materials such as: soft wood; hardwood; composite materials; and metal. Barbecue Grill (gas), Barbecue Grill (charcoal), Barbecue Grill (hibachi), Patio Furniture, Swimming Pool and Hot Tub Spa. Shown in the 'Routine Care' section are the recommended routine maintenance tasks for your decking. The 'Q & A' section shows answers to common questions. And the 'Articles' section provides helpful articles about your decking.